Why Buy MS Office 2013 Pro Plus? There was a time when accomplishing basic goals and tasks in a computing environment was a challenge. However, with the dawn of technology and the advent of newer computing resources, things seem to have simplified for the average user. Every few months, some new advancement in the technological world seems to overtake the throng of people who are associated with the industry and bring something new for them. With the launch of Microsoft Office 2013 Professional Plus, users can now work in an enhanced manner on all their office chores quite easily. 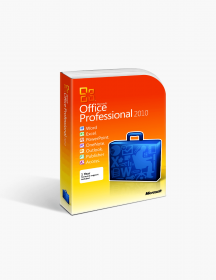 Microsoft Office 2013 Professional Plus has allowed users to explore many ways in which they can synchronise their workload and achieve maximum efficiency and value for their work. With the level of features and utility that can be seen in this version of the Windows, it is easy to conclude that a lot of thought has gone into its creation. Not the right Office 2013 product you were looking for? 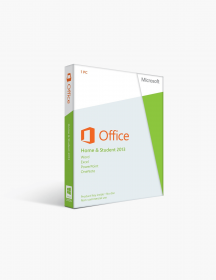 Check out our selection of additional Microsoft Office 2013 software today. User gets to work like a pro With all the tools needed for an excellent and proper office functioning, users can be assured that they get the best of best features in this version, Replete with the requisite tools, such as MS Word, MS Excel, MS Powerpoint, MS Access and MS Outlook, among others, Microsoft Office 2013 Professional Plus does not leave any stone unturned to make computing a fulfilling experience for its users. Extension of the office Now a user can store, view and access his documents and files in real time through cloud based system. 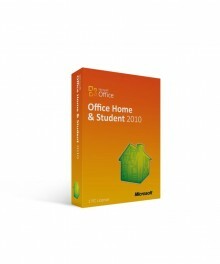 Any internet enabled device can be used for this purpose and it is powered by Microsoft Office 2013 Professional Plus. Simple sharing and collaborating Any files that have been stored online can be easily accessed and can be shared with other parties for their review and assessment. All inclusive Office version Equipped with the latest versions of various office applications that make computing simple and easy. With the new features in these applications, users can keep track of various activities and changes effected therein. Why should you purchase the Microsoft Office 2013 Professional Plus? The powerful way to manage your office. The new version now allows users to collaborate and sync their work across multiple devices and access and use any of that anytime. The 2 PC package allows a user to install and use the Office on 2 different computer systems without any catch. Each system remains independent of the other one. Purchasing the Microsoft Office 2013 Professional Plus online has many benefits and comes with an assured guarantee of authenticity. The added features in Office applications helps in getting quick response and the working criteria shows immense ease and flexibility. 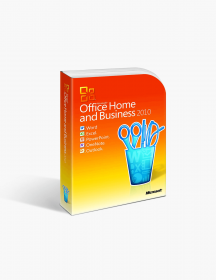 Best used for businesses and small businesses who can utilise the programmes and features of the Office version for a systematic and organised working environment. Sharing your work is now very simple with the Microsoft Office 2013 Professional Plus. With in-built tools and features provided with every office application, one can now easily share his work with others in a jiffy. Capture ideas from anywhere and jot them down on any Office application for easy recalling in the future. $449.00 | In Stock Want it Now? Order and receive your download instantly.